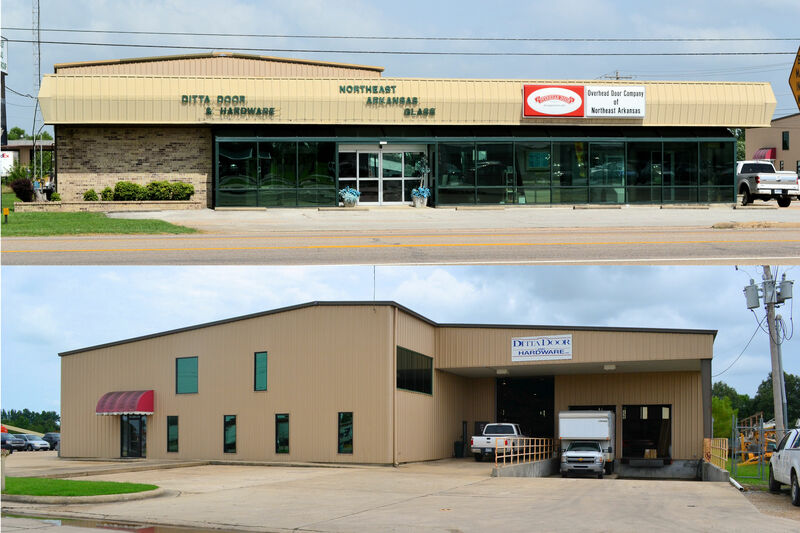 Northeast Arkansas Glass was founded in 1986 by Victor & Debra Ditta. Vic comes from a family of glass companies including Binswanger Glass and Twin City Glass that his father owned as Vic was growing up. In 1990 Ditta Door and Hardware was created to serve the construction industry of NEA with a comprehensive specialty company. Over the years both their children, Anna and Anthony came to work at the family business. 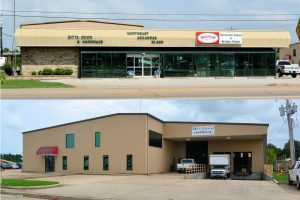 In 2005 Anthony and Vic purchased Overhead Door Company of NEA. Then in 2014 the family merged all three companies to become one strong sub-contracting compa ny now known as Ditta Enterprises, Inc. The original building consisted of 3 small offices and a 1,900 sq. ft. of warehouse area with 5 employees and slowly over the next 30 years has expanded numerous times with 2 buildings and around 50 employees today. Our family-owned and operated business has grown to provide complete professional service for residential, commercial, and industrial applications. We specialize in large projects for universities and office buildings and welcome all construction projects. Our area doesn’t just end in a 150 mile radius of Jonesboro, AR like most, we travel the United States to complete the projects we have been given. We have grown and prospered over the years because of good people, a dedication to excellent service and a commitment to guaranteed satisfaction. We are confident in all of our products because of the architectural acceptance and a solid background of success with owners of residential,institutional and commercial buildings. Our customers call us back time-and-time again because we are able to provide complete services, listen to their needs and are priced competitively. From glass to doors to overhead doors and specialty products, the experts at Ditta Enterprises are ready to start on your project!